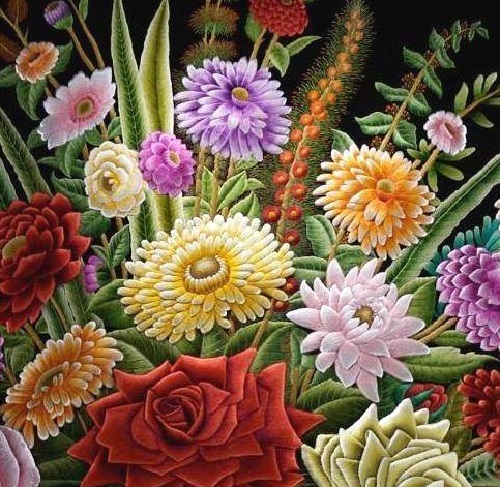 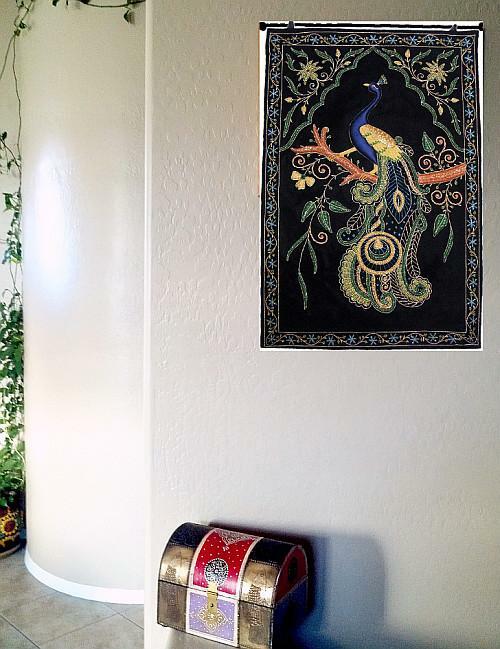 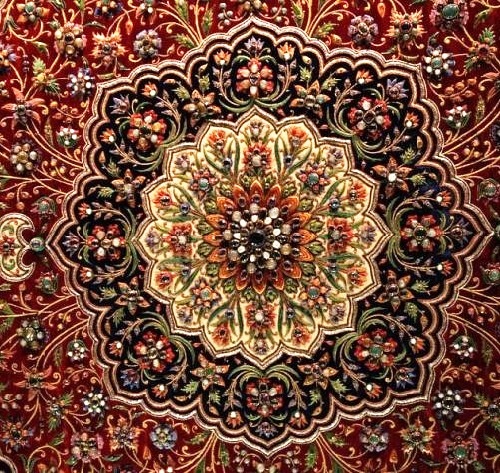 Zardozi embroidery art came from India, Iran, Pakistan and Bangladesh. 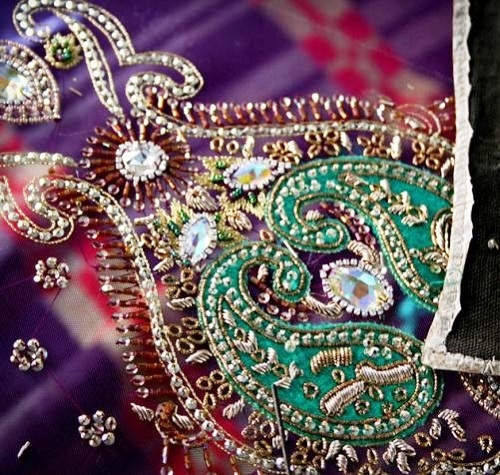 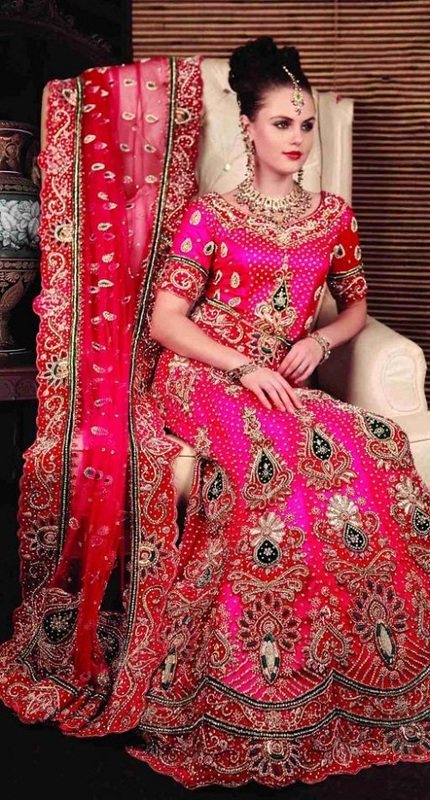 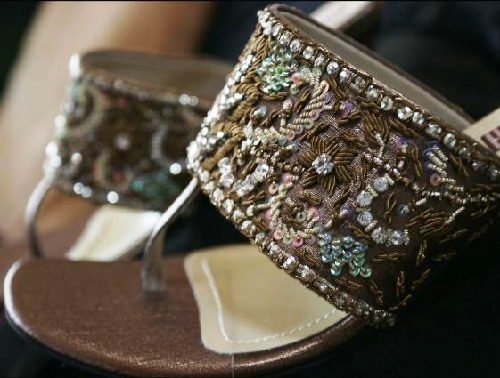 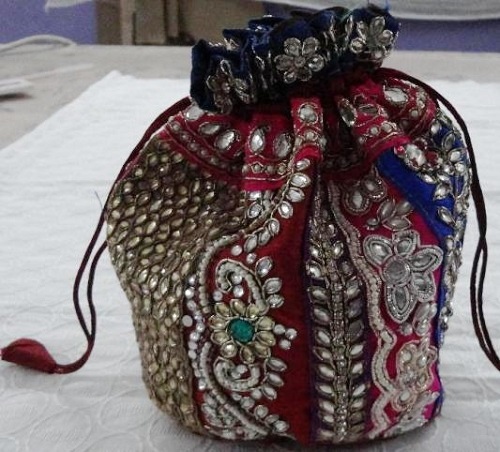 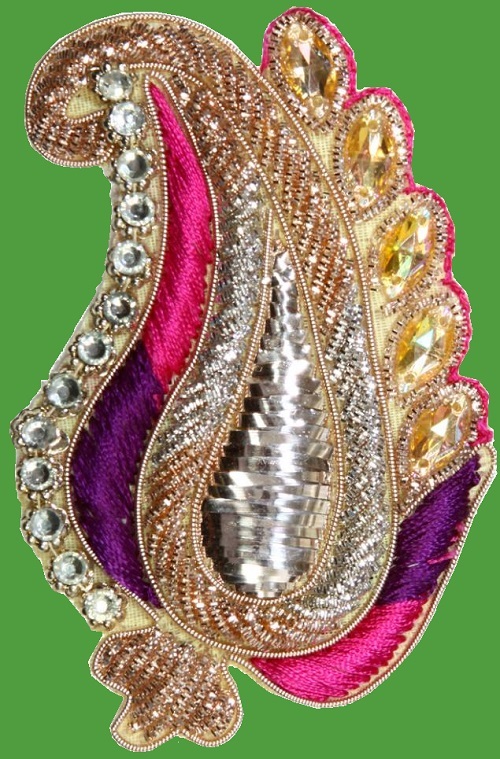 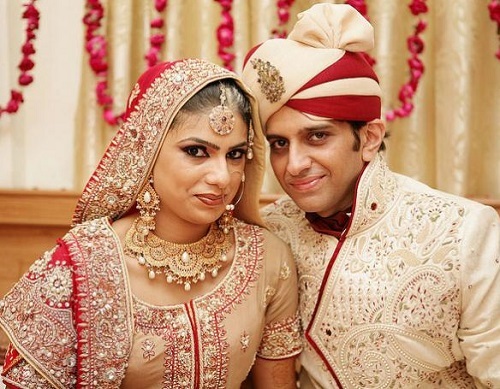 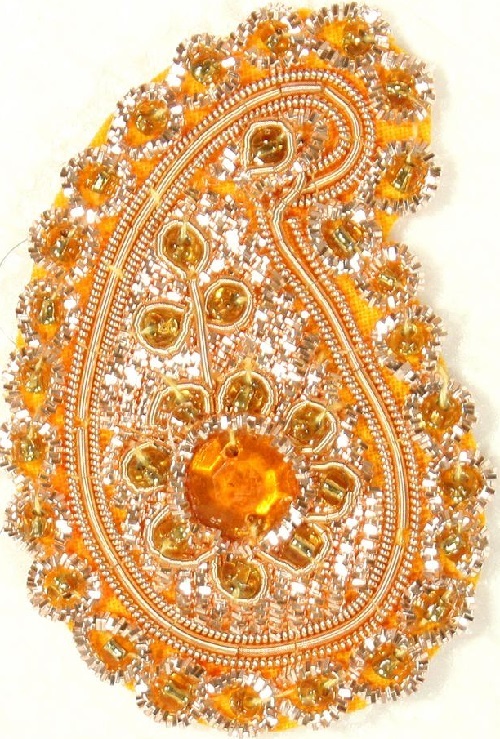 Stunning precious metal embroidery Zardozi decorated the clothes of the royality in India. 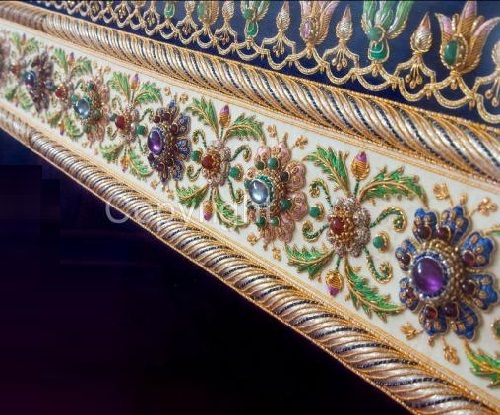 Zardozi embroidery adorned walls and hangings of the royal rooms, and paraphernalia of royal elephants and horses. 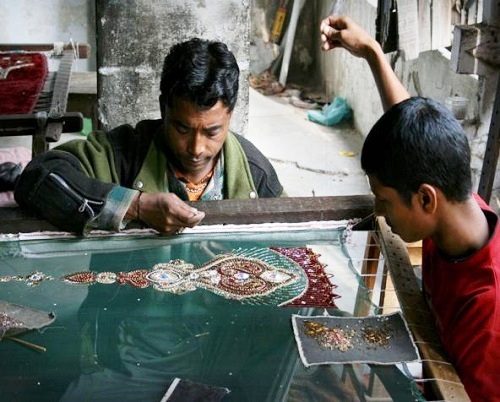 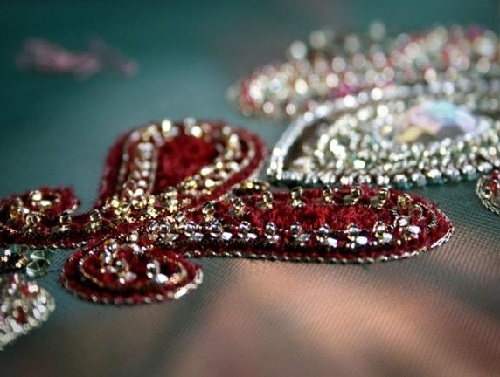 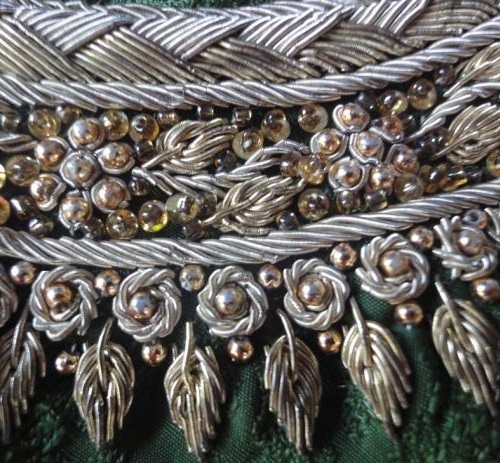 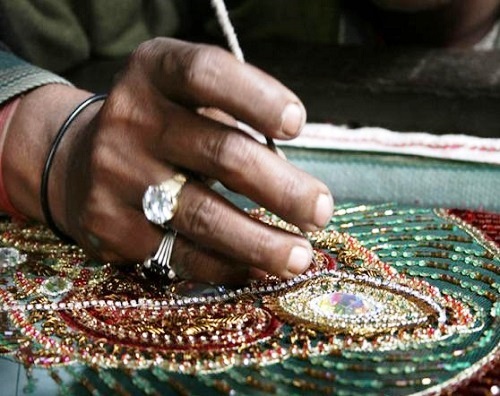 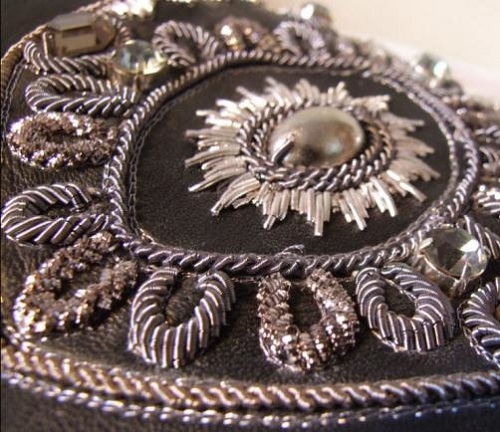 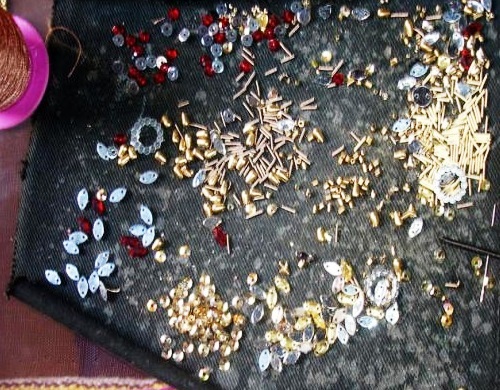 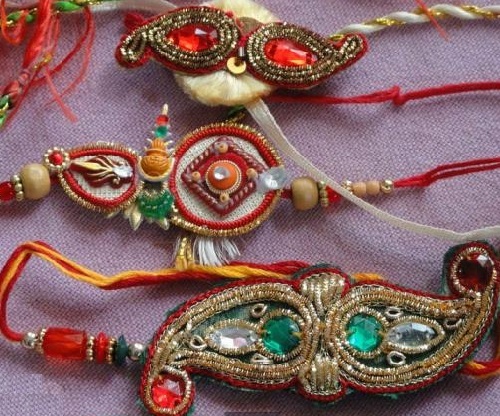 The material used for Zardozi embroidery was gold and silver threads or wires, gold leaves, pearls and precious stones. 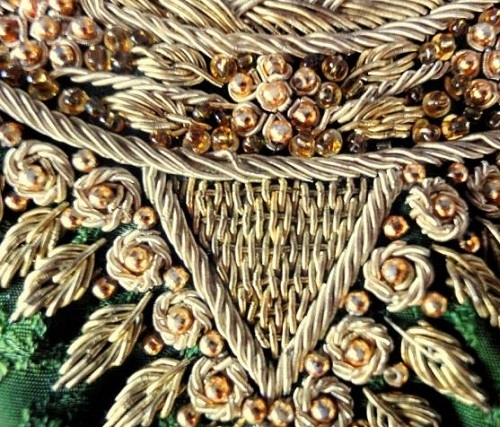 Today craftsmen combine gold and silver wire with copper and a silk thread. 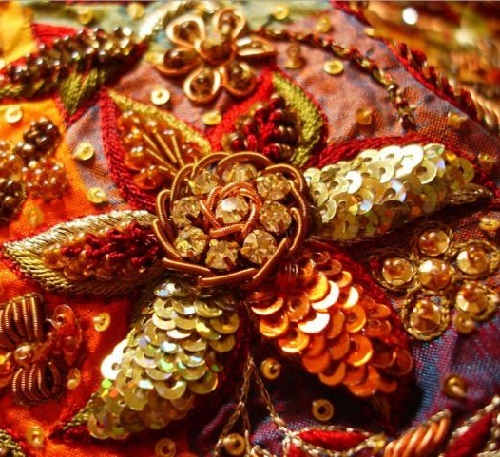 Zardozi came from a Persian word Zar (gold), and Dozi (embroidery). 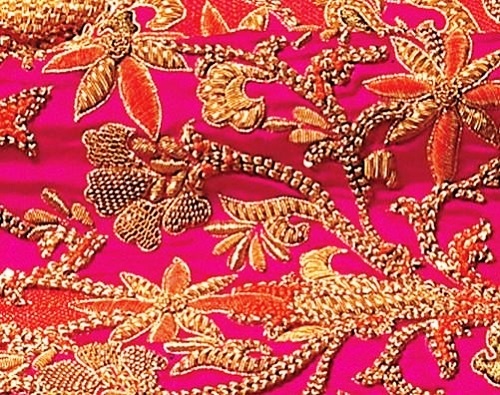 In the 17th century Zardosi embroidery prospered under the patronage of Mughal Emperor Akbar, and came to decline under the rule of Aurangzeb. 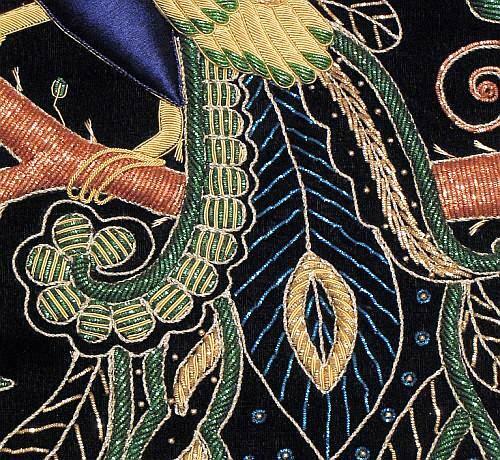 Craftsmen could not carry on with such expensive embroidery on their own. 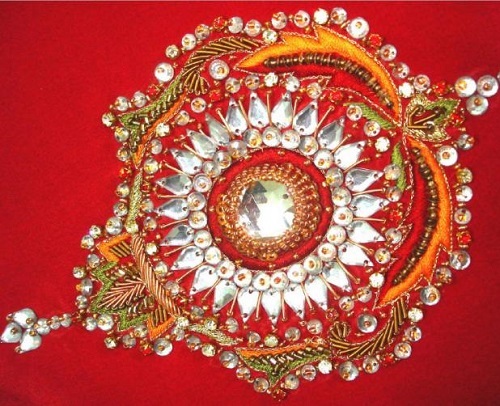 Zardozi embroidery art has been known in India since the time of the Rig Veda. 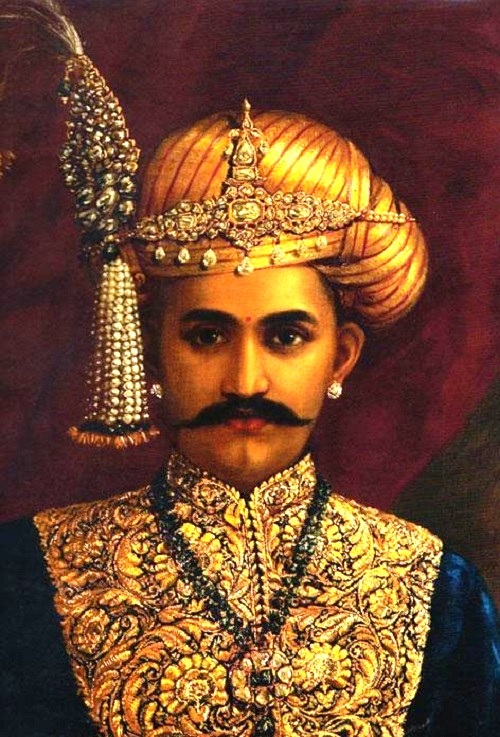 It flourished during the royal patronage of Mugal Emperor, Akbar, but during the industrialization came to decline. 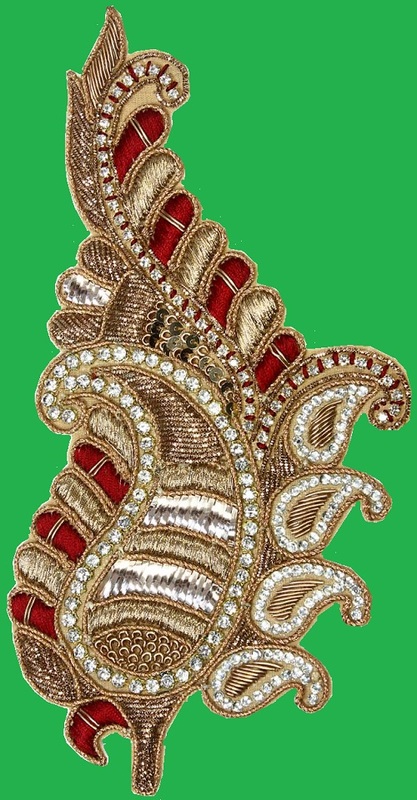 Nowadays Zardozi embroidery art is popular in such Indian cities as Farrukhabad, Lucknow, Bhopal and Chennai. 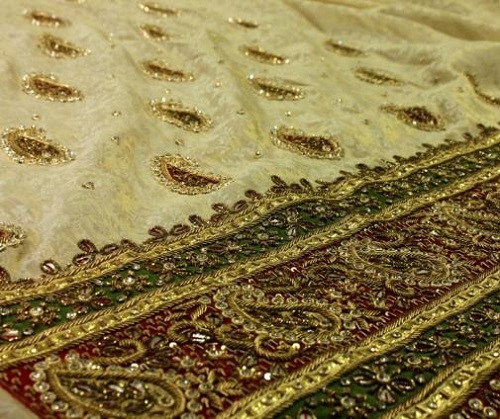 In 2013 the Lucknow Zardozi has confirmed its authenticity as the world renowned textile embroidery recorded by Geographical Indication Registry. 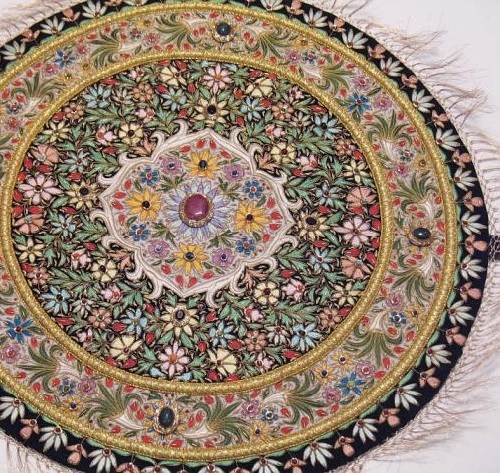 The beautiful Zardozi artworks are made in Lucknow and its six districts of Barabanki, Sitapur, Unnao, Hardoi, Rae Bareli, and Amethi. 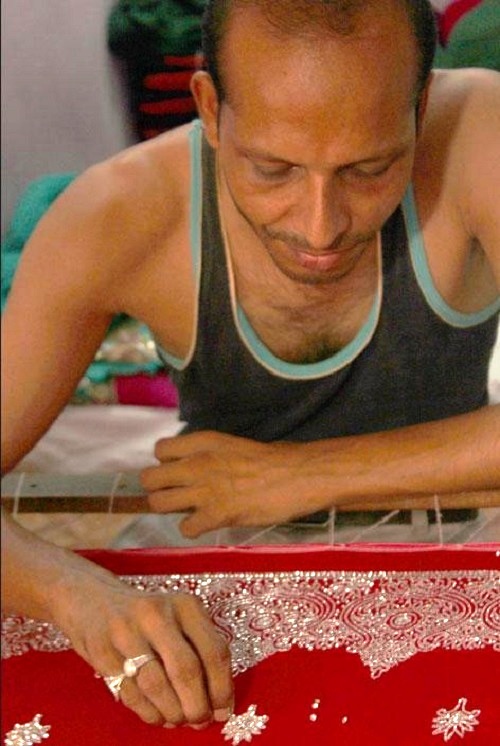 One of the most famous masters of Zardozi was Shamasuddin from Agra. 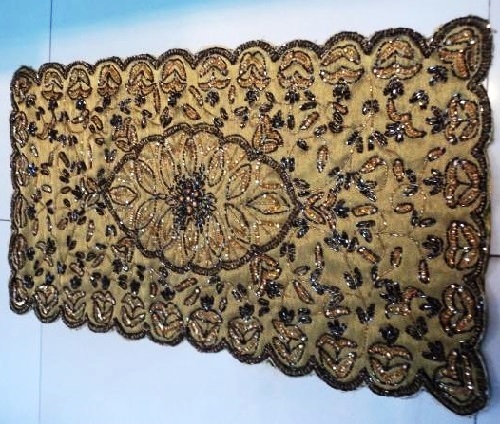 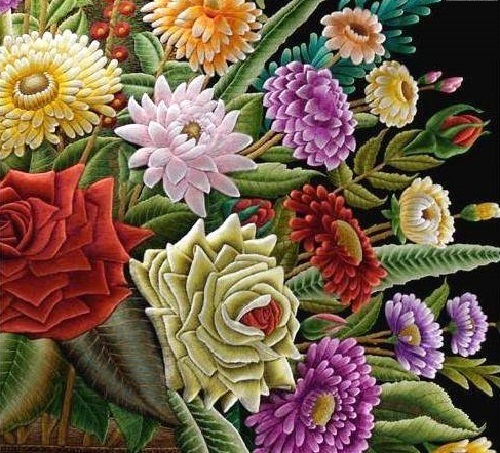 Embroidered by Shamsuddin pieces are the heaviest artful embroidery in the world, each weighing more than two hundred pounds. 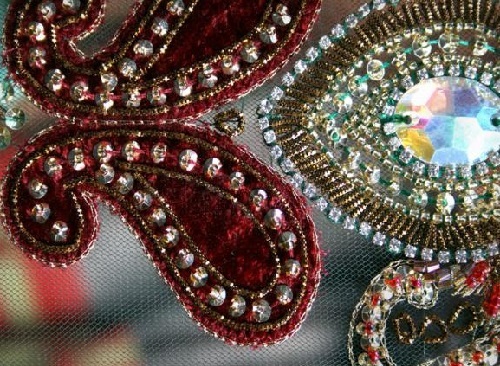 Artist adorned embroidered items with jewels, some – with thousands of gems. 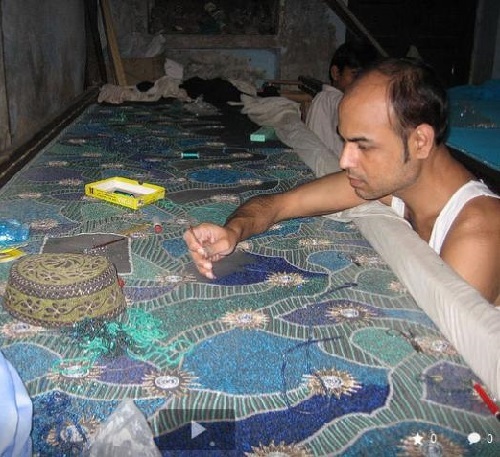 One of the most famous artworks – “Chess” – it took the talented master twenty thousand stones and thirty years of hard work. 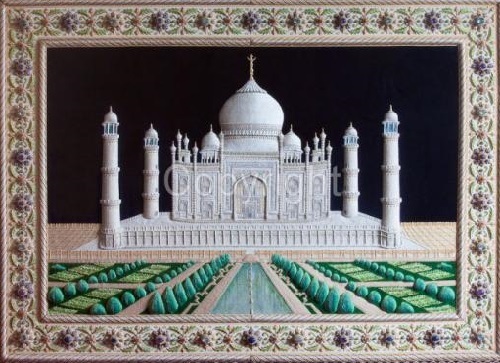 Back in the 70s, Sheikh of Saudi Arabia offered for it two million eight hundred thousand dollars, but Shamsuddin did not sell the work, knowing that he wouldn’t be able to create anything better than that. 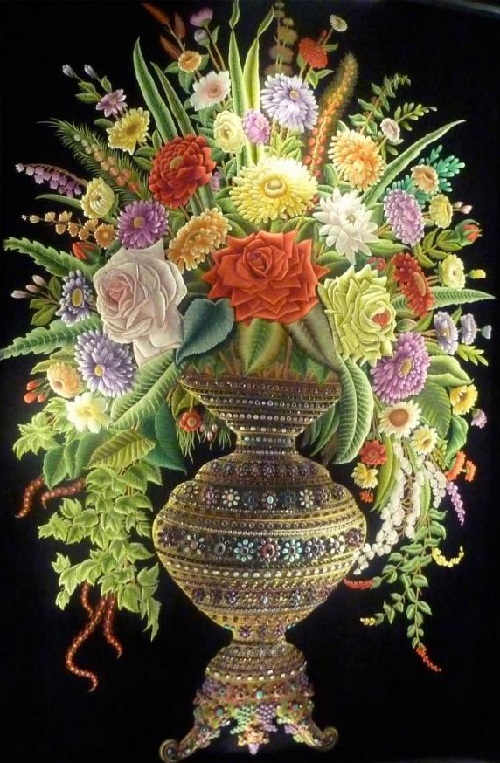 Anyway, the work of Shamsuddin is one of the most expensive embroidery in the world.